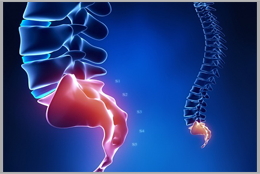 Coccyx or tailbone is the last bone of vertebral column (spine). The cause of pain other than trauma is difficult to ascertain. Imaging studies are difficult to do and interpret. 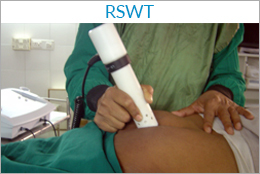 Ultrasonography does show signs of inflammation, which is the target area for Shock wave therapy. Patients suffer for a long time and have to undergo a lot of restriction in daily life. Shock wave therapy being noninvasive is acceptable to most patients and has a promising role to play in curing this nagging problem.